A Brief History of Kabbalah, main teachers & books. Kabbalah’s great and unknown influence over the history of Judaism and the rest of the world. Kabbalah as The Wisdom for a Better Life. Reality and Illusions, the True World (Olam HaEmet) vs. The False Reality of the bodily senses and mind. How everyday life is a mirror of the journey the soul is taking. Why do bad things happen to Good People? The Rules of Cause and Effect; Reincarnation in Kabbalistic Teachings. Understanding Kabbalistic Symbols, The way they manifest in explaining the Mitsvot, Jewish Law. The Symbolism of The Four Elements, Colors and the Forces of Nature and how it relates to everyday’s life by the Kabbalist. The Tree of Life, Sefirot and Olamot (Worlds). How is it that God never changes but it looks like He does? The Secret of the Tetragrammaton. 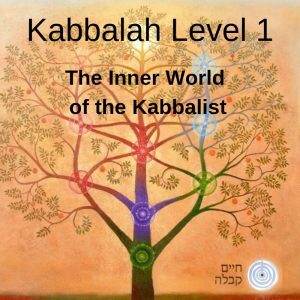 Kabbalah Level 1, Class 2 – Reality and Illusions | What is That We Really Want? Kabbalah Level 1, Class 3 – How did it all begin? | What is the source of Evil? Kabbalah Level 1, Class 4 – Good and Evil | Free Will: Logic vs. Faith.